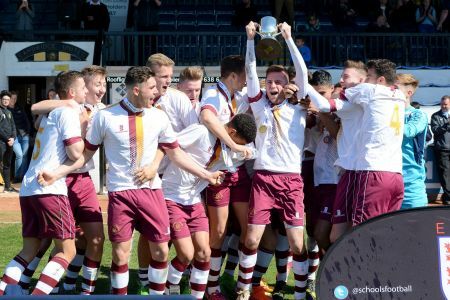 Following a match cancellation in March at Doncaster Rovers FC, due to flooding on the pitch, the ESFA U18 Schools’ Cup for Boys’ was rescheduled and played on Wednesday 20 April at Cambridge United FC. 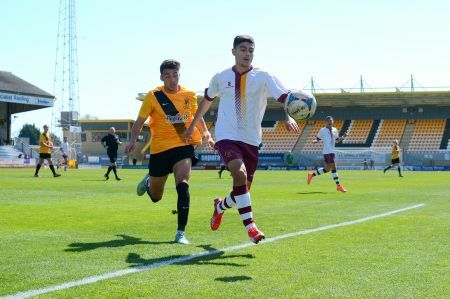 Thomas Telford started the game the stronger team after Zac Lily carried the ball behind the defence and managed to take the ball past the goal keeper too, but a defender on the line kept the game at 0-0. Shenfield then got back into the game after the early pressure as a number of free kicks went their way, but the Telford defence stood strong to keep them at bay. After 15 minutes, Shenfield forced the Thomas Telford keeper to make a fingertip save after the ball was cut back in the 6 yard box which resulted in the corner, which was cleared well. Thomas Telford went ahead in the game after 20 minutes with a goal from Lewis Jarman. The ball was played down the right wing where Zac Lily back-heeled the ball to Lewis who found the bottom left corner of the goal to put his side 1-0 up. The game evened out again after the goal until the Shenfield keeper was forced to save a low shot from Zac Lily. Shenfield were awarded a free kick just outside the area but Telford were able to head the ball away, but the ball was put back into the box quickly and defended for a corner, which was cleared. 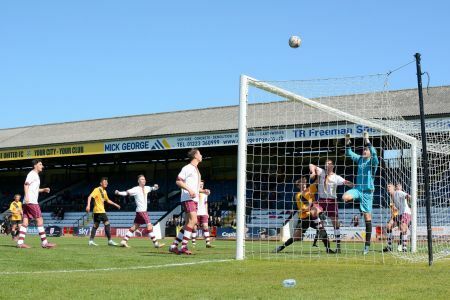 Thomas Telford were awarded a free kick just outside the area, but the tall wall of Shenfield kept the ball from any danger. Shenfield came close to scoring again as the ball was pulled back from the touch-line but the Thomas Telford keeper makes a save to put it out for a corner. The corner came in and came close again, but was cleared off the line by Thomas Telford. Shenfield were pressing hard for the equaliser before half time, but Thomas Telford’s defence were too strong and the teams went in for half time with the Telford side 1-0 up. 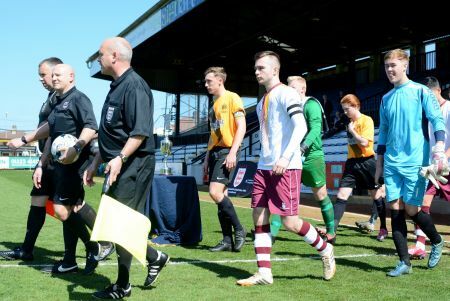 It wasn’t long into the second half when Shenfield thought they had won a penalty, but it turned out the referee gave a free kick to Thomas Telford for simulation. Shenfield kept their pressure up from the first half with a ball that was shot across the face of goal, but there was no one in the area to finish off the chance. 10 minutes into the second half and Max Watters came the closest for Shenfield with a headed effort which went just over the bar. Telford were awarded a free kick from outside the area but was put over the bar, but had the keeper back tracking. Lots of loose passes in the middle caused both teams to slow the game down to get hold of the ball. The pressure was on in the last 10 minutes for Thomas Telford as Shenfield kept putting long balls into the box, causing the defence to concentrate hard to keep their team in the lead. With 3 minutes left on the clock, Thomas Telford hit the post. The ball is taken down the left wing after a miss-timed tackle from Shenfield causing Telford to be 2-on-1. The ball was played across the box but hit the post and went out for a goal kick. The last few minutes of the match saw both teams trying to get another goal. Shenfield threw everything at Thomas Telford but were unable to break through the defence. Both teams were presented with their commemorative medals by ESFA Chairman, Mike Spinks and the Thomas Telford captain presented with the trophy. Photos from the game are available from 353 Photography, you can view the album by clicking here. DVDs, containing full match commentary are now available for purchase by going to 247.tv/live/shop for only £10.00. Post your comments about this news item using the form below.